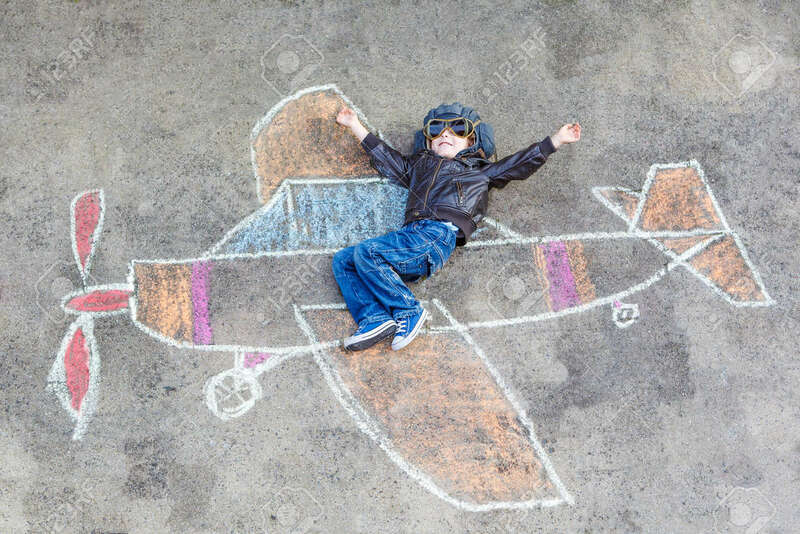 Happy Little Kid Boy In Pilot Uniform Having Fun With Airplane Picture Drawing With Colorful Chalk. Creative Leisure For Children Outdoors In Summer. Royalty Free Fotografie A Reklamní Fotografie. Image 40779184. Reklamní fotografie - Happy little kid boy in pilot uniform having fun with airplane picture drawing with colorful chalk. Creative leisure for children outdoors in summer. Happy little kid boy in pilot uniform having fun with airplane picture drawing with colorful chalk. Creative leisure for children outdoors in summer.